Zen has long been our favourite place to eat when we go to Durham. A tranquil oasis of calm and delicious food, it’s tucked away down a cobbled side street by the law courts, and is one of this Cathedral city’s greatest hidden treasures. 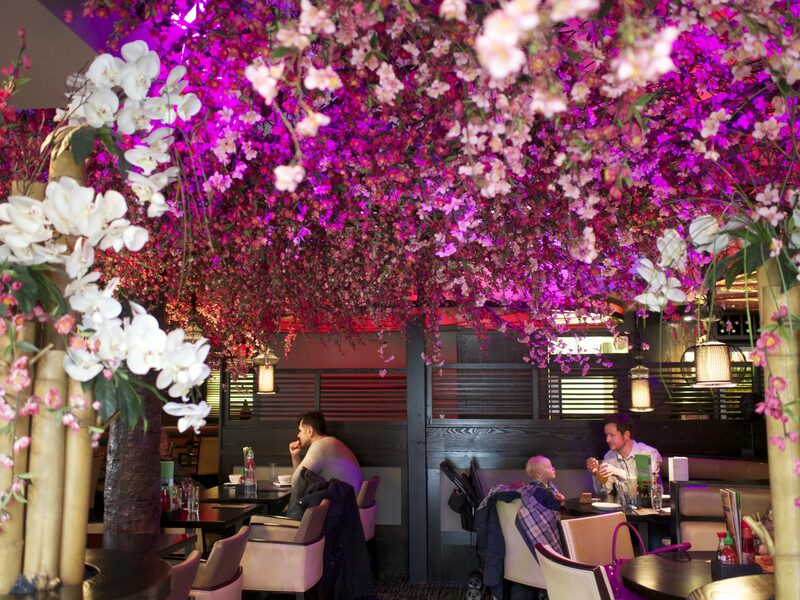 Escaping the April showers and walking into Zen we were greeted by the canopy of blossom that hangs from the ceiling. We hadn’t been for a couple of years and loved this addition to the decor – they call it a ‘wishing tree’. Deciding to sit inside (they also have a heated ‘urban jungle’ area) we were quickly shown to a booth and a child seat was brought for Little Dude. We decided to share a starter and went for the ‘wok of bones’ – twice cooked meaty ribs, garlicky Peking sass, messy & addictive (£6.50). 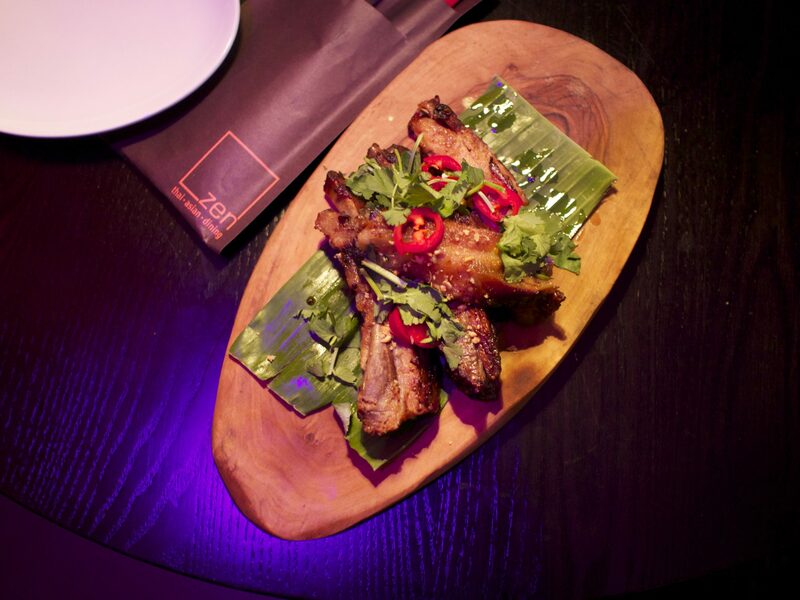 Plenty of succulent meat, simply marinated and cooked with a crisp skin. They were served on their own, but in our opinion they could’ve done with a dip. Luckily the sweet chilli sauce and sriracha that sits on every table made a perfect accompaniment. Little Dude (who is now 17 months old) was desperate to explore so after a few bites of his chicken fried rice (£4.95) he toddled off to make friends with the extremely friendly waitress. He enjoyed his meal (they also offer a couple of other kids meal options like ZFC – Zen Fried Chicken, or you can order half portions of main meals) but it was very much catering for fussy tots and other than a few peas there were no veggies in sight. LD likes (some of) his veg so later happily munched some of my baby corn and mushrooms. Our mains arrived in all their glory. I went for ‘yummy duck’ – Thai chilli marmalade rub, runny honey cured sliced breast, wonton noodles, sticky five spiced plum sauce (£9.95) while the Mr went for ‘old school Pad Thai’ – Thailand’s national dish, heap of rice noodles tossed in cracked hens egg, prawn, chicken, sweet tangy tamarind sauce & cashew nut crumble, finished with a lime squeeze for that extra zing! (£9.95). 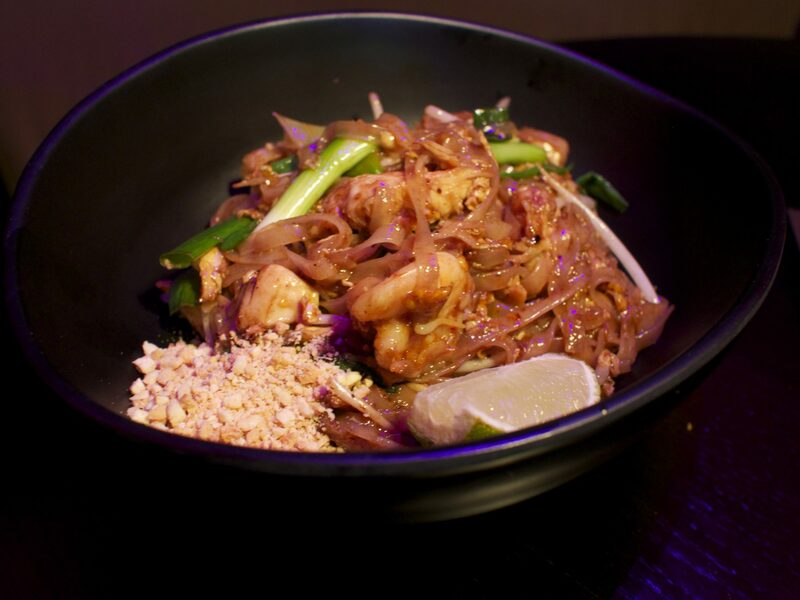 Whenever we go anywhere that serves Pad Thai the Mr compares it to Zen. He was happy that it still contained chicken AND prawns, a big selling point for him. The rest of the noodle dish was punchy and well balanced, with the fish sauce and tamarind combo creating a pleasant savoury flavour. 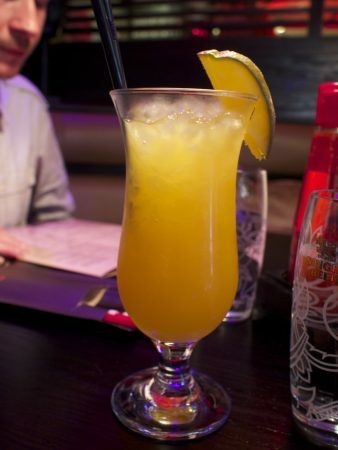 Since we hadn’t been to Zen for ages I also stuck with an old favourite which I was happy to see was still on the menu. 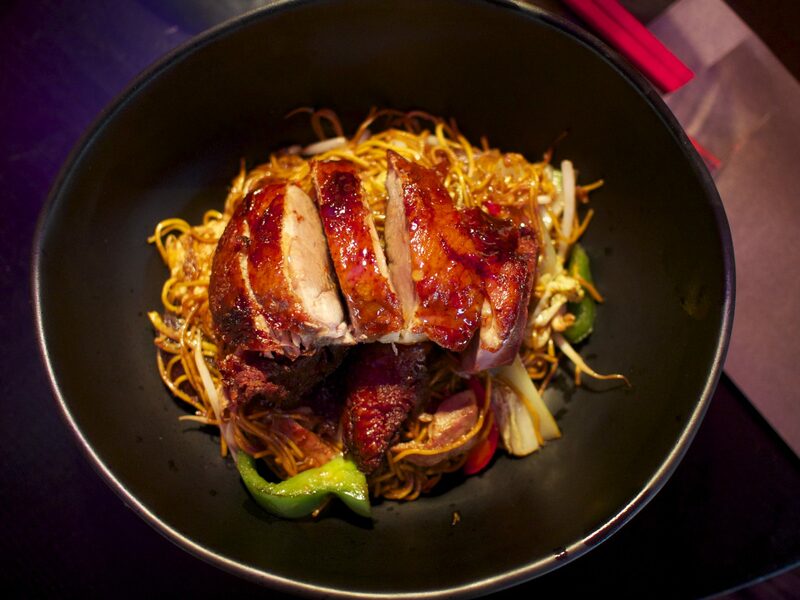 The duck dish was as good as I remembered, generous pieces of succulent duck with crisp skin and plenty of noodles and veg, the sauce was on the right side of sweet and it had a pleasant aftertaste that we put down to some sort of nut oil. The flavours were subtle, with the focus on the fresh, well cooked ingredients. Feeling pleasantly full we left the oasis of calm and ventured onto the rainy cobbled streets of Durham for some retail therapy. 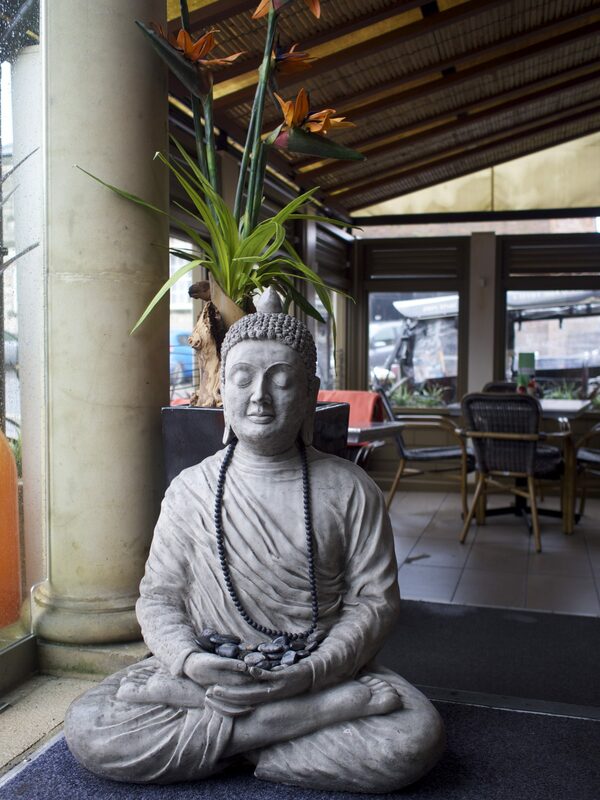 I would recommend Zen to anyone who wants a satisfying meal, great service and lovely surroundings – and who wouldn’t want that? !